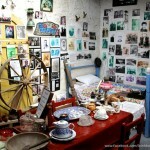 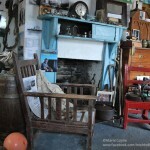 The Inishbofin Heritage Museum was set up in “the store” at the old pier in 1998. 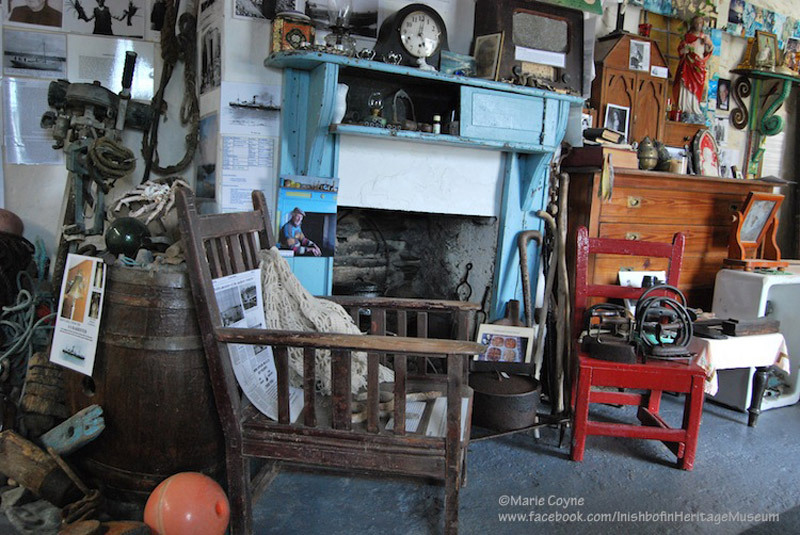 It houses the contents of traditional island homes, fishing, farming and tradespeople’s tools along with over 200 photographs of local people. 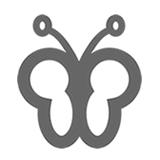 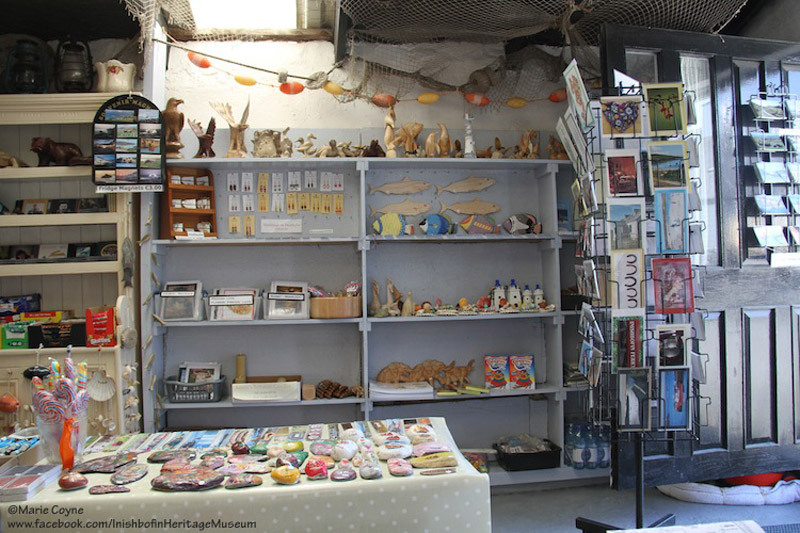 “I was greatly impressed both by the quality of the collection and by the manner in which you have displayed it. 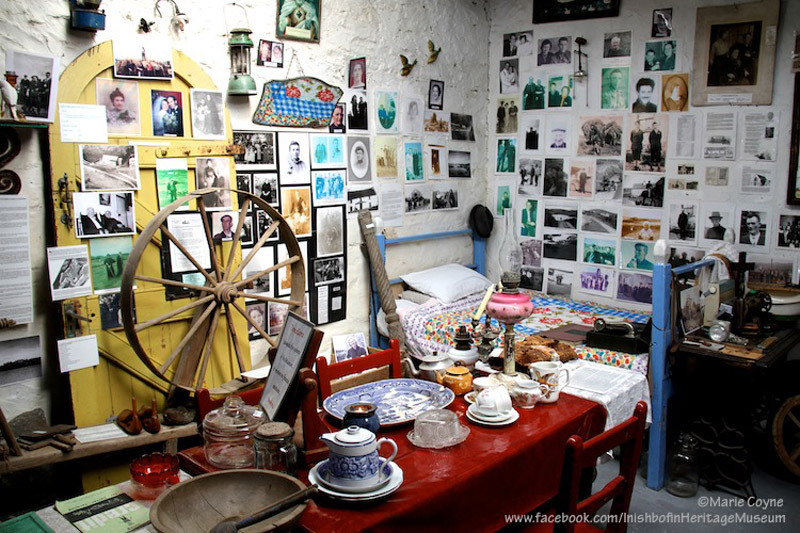 What I found particularly effective was the thematic approach you have taken and the way in which certain activities are related to particular families, supported by photographs and other documentation. 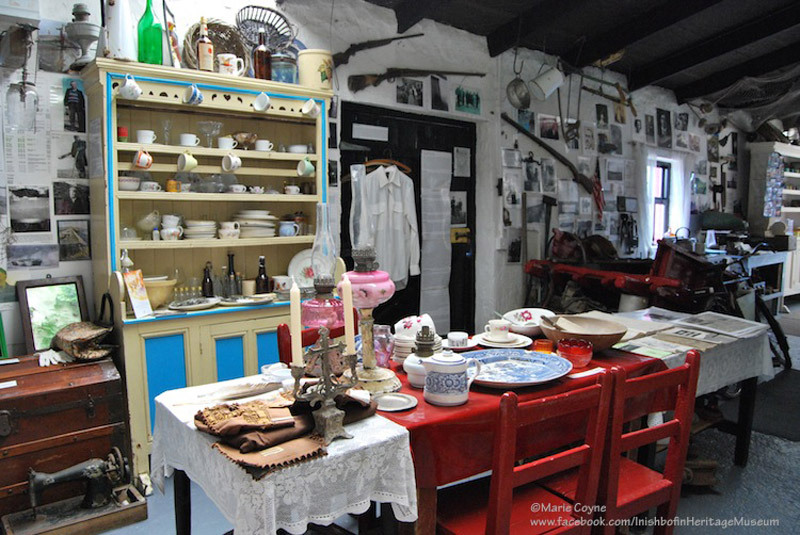 I must honestly say that the use of the collection is effective in conveying to the visitor a sense of the history and heritage of the island”. 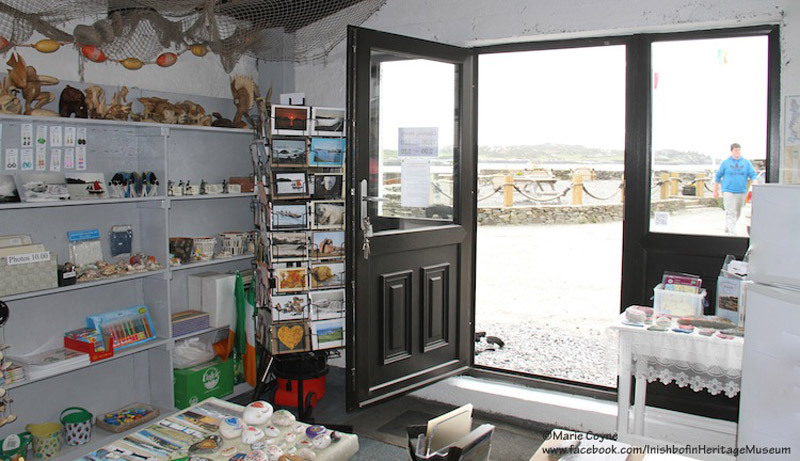 The handmade gift range on sale includes, the Inishbofin colouring book, greeting cards, bookmarks, hand painted rocks, shell chimes, earrings, fridge magnets and framed and mounted photographs. 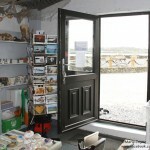 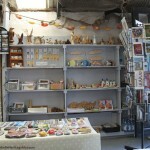 Books, maps, postcards, CD’s, DVD of Inishbofin, and a range of beautifully handcrafted woodwork lots more.